If you’re looking to make coffee the easy way, an automatic espresso machine can offer far more than just short, strong shots. We’ve curated a selection of more than 10 of the finest models on the market targeting all taste and price-points. We’ll also guide you through the differences between these machines and we’ll also help you to dial in your buying decision so you can save money as well as time. The Breville Barista Touch combined the best of automation and personalization to give you perfect espresso with the freedom to make other drinks, too. Sleek and built to last, the temperature control is unbeatable while the touchscreen interface is a dream to use. Throw in an integrated grinder and you’ll enjoy bean-to-cup coffee at its finest. 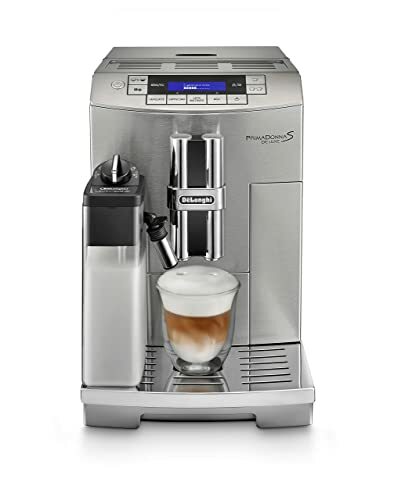 Not only does the Magnifica come in under $1000, act swiftly and capitalize on an aggressive discount. Even at full price, this versatile and automated bean-to-cup machine gives you coffee just the way you like it. 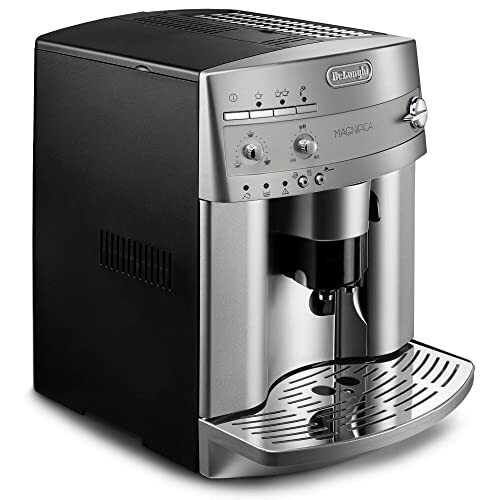 From espresso through to flat white, the world’s your oyster with this DeLonghi super-automatic. 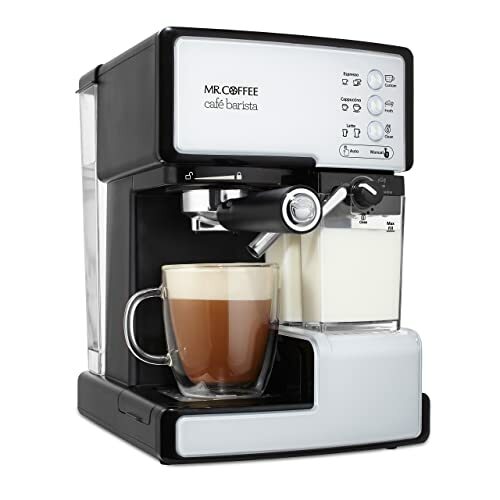 If you’ve got a limited budget but elevated tastes, Mr Coffee’s Café Barista combined price and performance brilliantly. 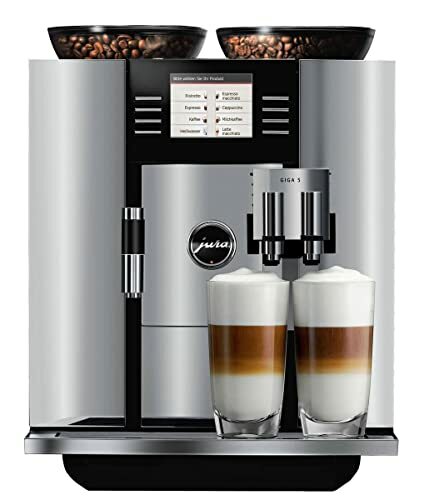 You’ll be able to whip up espresso, cappuccino or latte in this semi-automatic beast that looks great and delivers coffee that tastes just as great. Don’t let that bargain basement price fool you, this is a superb little coffee maker and highly versatile, too. 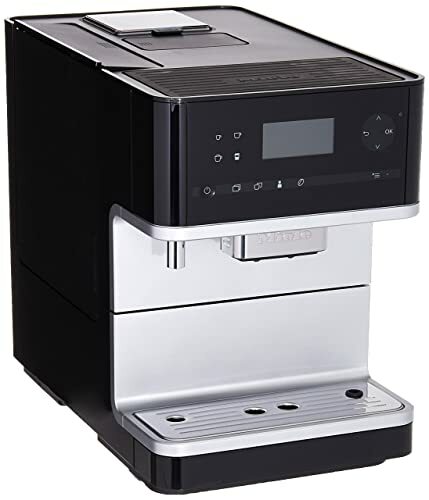 For anyone with deep pockets and a taste for the finer things in life, the DeLonghi America Prima Donna exemplifies fully automatic espresso making at its best. With a wide choice of drinks, easy operation and hard-hitting tech-driven functionality, this would have stolen the overall crown were it not for that stinging price tag. Our standout overall winner is the classic Breville Barista Touch. While this espresso maker is not cheap, if you act quickly, it’s currently available at an aggressive discount giving you exceptional value. Why is it so good, though? Touch-screen functionality gives you a seamless experience. Choose from one of 8 drinks tweaking temperature, milk texture and strength to suit. With an onboard conical burr grinder, you’ll enjoy your beans at their freshest and your coffee at its best. Digital temperature control combined with the perfect pressure ensure you get espresso just the way the Italians love it. The innovative heating system gets things up to speed in just 3 seconds. While the automatic wand doesn’t give you quite the element of control you’d get with a manual version, the experience is far simpler, ideal if you’re a beginner to the art of espresso. Low pressure during pre-infusion gets things going with a solid foundation with everything done for you from dosing to extraction to a crema-rich espresso drink in your cup. If you want a longer and milkier coffee, you’ll have the ideal base and micro-foam to make that happen, too. 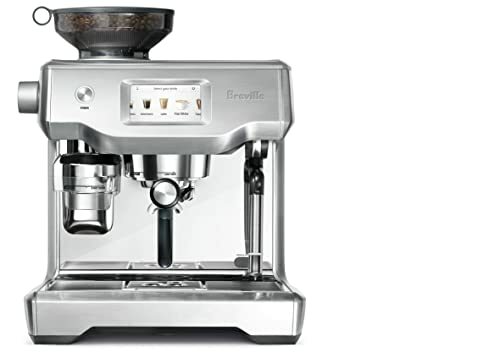 For one of the very best automatic espresso machines from an industry legend, road test the Breville and do so quickly to take advantage of that deal! If you thought you couldn’t get a super-automatic machine on a relatively tight budget, think again. 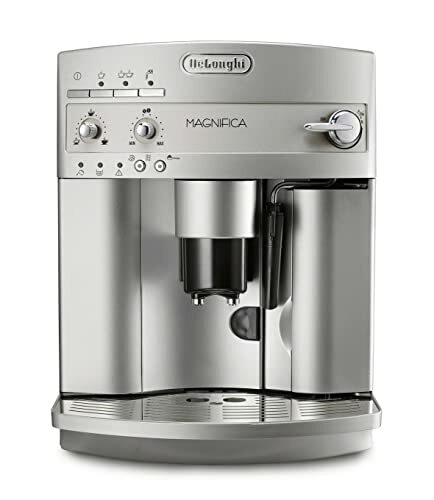 DeLonghi deliver fully with the Magnifica but what makes it such a hard-hitting machine? Firstly, you’ll be able to enjoy a broad spread of your favorite coffees. Whether you want an intense espresso to kickstart your day, a creamy latte when you get home from work or an even more decadent cappucino, sit back and let the Magnifica do the work. A bean-to-cup machine, you’ll get the benefit of freshly ground beans to set off any drink you make a treat. DeLonghi’s proprietary Cappuccino System mixes up the milk and steam to perfection for a froth that’s deep and long-lasting. Whether you want crema to set off your espresso or a foamier and milkier drink, the Magnifica comes up trumps. While you won’t get a touch screen, the combination of dials and buttons make this machine ideal if you’re not the biggest tech lover. If you act quickly, the Magnifica is available half-price so you can’t ask for more. Mr Coffee has carved out a niche producing top-notch coffee makers at pocket-friendly prices. The Café Barista is another fine string to their bow. 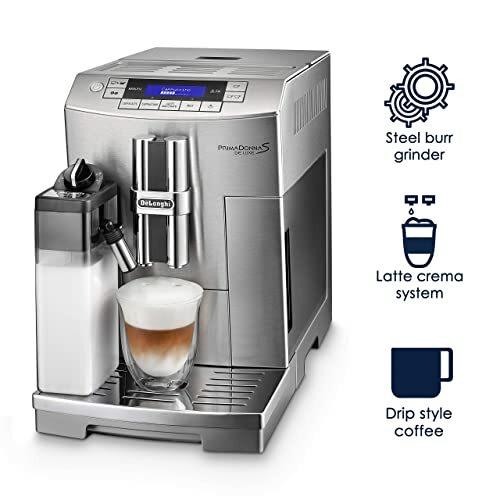 With 3-in-1 functionality, you’ve got the choice of espresso, cappuccino and latte with all made to an exacting standard despite the budget price tag. With espresso, choose from a standard single shot or an eye-opening double if you need an extra jolt in the morning. You’ll get a 15-bar pump to create the necessary pressure for the smoothest and richest espresso. How about if you want a longer drink? Take full advantage of the automatic frother and you can widen your menu to include both latte and cappucino. Make your selections at the push of a button on the intuitive screen. Cleaning up is streamlined thanks to the milk reservoir and water tank both sliding out. This also helps when it comes time to top them up. If you’re new to coffee makers and you’re stuck for inspiration, you’ll get a handy recipe book thrown in. This semi-automatic looks the part on the kitchen counter and is priced within the reach of pretty much anyone so give it a shot if you want gourmet coffee on a budget. Ramping things up considerably in terms of pricing, the DeLonghi America Prima Donna is a fully automatic beauty capable of yielding coffee shop grade drinks consistently and with minimal user input. One of the keys to great coffee is, of course, consistency. 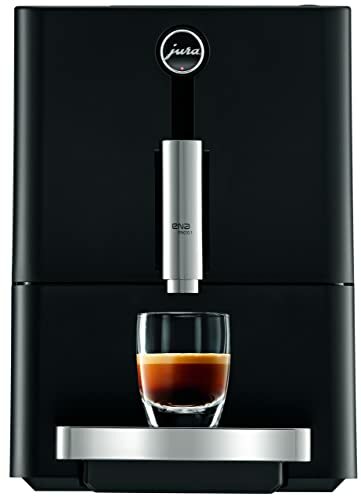 You’ll be able to program the milk-to-espresso ratio, temperature and strength with ease. The intelligent America will remember these settings so achieving your ideal drink is then as simple as pressing a button. You won’t need to wait around for the machine to heat up either. A pair of heating elements combine to deal with milk and espresso simultaneously so you’ll be right down to business in an instant. Choice of drinks is impressive. With milk and also hot water on demand, you can add tea, infusions and hot chocolate to the usual coffee menu. The brew unit is a cinch to clean and it also allows you the flexibility to flit between single and double shots. While certainly not cheap, if you’ve got the cash to splash, we can’t back the America Prima Donna strongly enough. The first of 3 Jura machines is up next with the Ena Micro 1. The design of this coffee maker is an absolute show-stopper. A sleek chassis in murdered-out black, you’d be forgiven for asking how on earth you use this machine. The touch panel on top makes this a cakewalk without compromising those lean, clean lines. This is a pure espresso machine although you will be able to enjoy a ristretto as well. You choice extends to a couple of aroma levels and a trio of cup sizes so you shouldn’t feel too hemmed in. Despite kicking like a mule, this machine is designed to occupy as little space as possible on the countertop. That said, it’s such a looker, you’ll want to keep it out on permanent display. While you won’t experience the same breadth of choice when it comes to drinks as some of the other machines on our list, there’s something to be said for doing one job and doing it well. Jura does it not just well but to the very highest standard. If you prize espresso above all else, this is the connoisseur’s option. 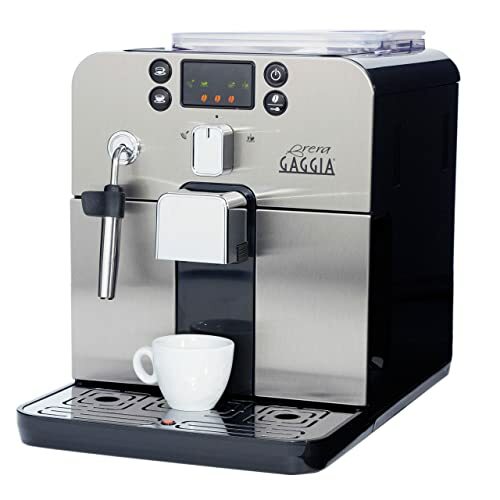 The Gaggia Brera is a classic super-automatic from a low-key but highly reputable brand. Consider this the stealth option on our list. The commanding stainless steel front panel means this machine wouldn’t be out of place in a small coffee shop although it works just as well in the home kitchen. Rapid steam technology gives you espresso in a flash to the most exacting standards. You’ll also enjoy a Pannarello frothing wand when you want to add some foam to longer drinks. This wand lets you froth things up just the way you like it whether you fancy a macchiato or creamier cappuccino. The space-saving design features a front-loading dreg drawer along with the water reservoir making the Brera ideal if you have minimal space on your countertops. You can use whole beans thanks to the integrated ceramic burr grinder but you can also roll with pre-ground if you fancy something different or perhaps your favorite decaf in the evening. For a versatile and capable super-automatic machine that renders coffee making a walk in the park, the enduringly popular Gaggia Brera is well worth a place on any shortlist of the best automatic espresso makers. Do you like the idea of a single-serve capsule-based machine? 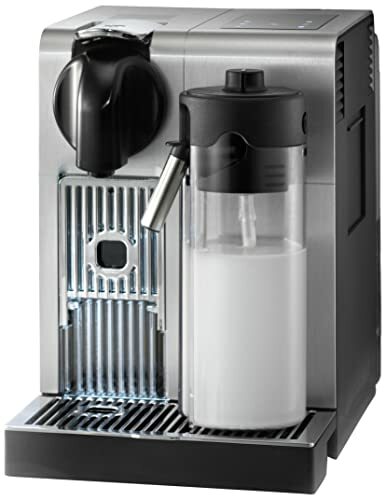 If so, our pick of the bunch is the Nespresso Lattissima brought to you by the ever-reliable DeLonghi. Alongside top-tier espresso, you can also make a range of drinks listed out below including hot water on demand and hot milk. All your main coffee variants are programmable as well. With Nespresso capsules, you get coffee shop-grade drinks at the push of a button with remarkably little fuss and no clean-up besides ditching the spent pods. The DeLonghi packs 19 bars of pressure so you’ll get a rocking extraction for the fieriest espresso and the most lip-smacking longer drinks all with push-button ease. Thermoblock heating means you can get straight out the blocks from a cold start without hanging around. This comes in very useful first thing in the morning when you’re impatient for your caffeine fix. There’s space for 15 used capsules in the container so you won’t need to keep emptying the unit out making it close to set-and-forget coffee making. Next in line is another Gaggia, this time the pricier Accademia but how does this stand out from the crowd? This is another bean-to-cup machine so you’ll be able to use your favorite beans and keep them fresher for longer in the double-sealed hopper. If you want to use pre-ground from time to time, you’ll appreciate the bypass doser allowing you to do this. Punch in anywhere from 7 to 10 cups so you can fuel you family in the morning without constantly running around and refilling thanks to the generous 1.7-liter water tank. Pre-brewing gives you the very best flavor while extraction is first-class. You can manipulate flow rate to get the perfect strength every time with very little effort. While the manual frothing wand requires a little more work than an automatic version, in return you’ll be rewarded with more control. If you prize outstanding espresso but you’re not prepared to give up your longer coffees, the Accademia is a wise bet. You’ll get all that Gaggia expertise brought to bear on a slick and user-friendly machine suitable for the whole family. What are you waiting for? The next of our trio of Jura is up next with the Impressa C65. You get the same black frontage but this time offset with flashes of silver to break up the dominating look. Your choice of drinks is more limited with espresso and longer coffees but you’ll still enjoy a fine repertoire of coffee. The foam frother is a particularly fine example and gives you the consistency you need for all your milkier treats. While you won’t get the bells and whistles of a touch screen, for many it’s the stripped-down simplicity and that single rotary dial that acts as the main selling point for the Impressa. The conical burr grinder makes sure your whole beans are ground not smashed and burned. With a height-adjustable spout, you’ll get no splashback when pouring and you’ll also be able to fit even larger vessels underneath with ease. We won’t pretend the Jura is cheap because it’s not. The thing is, this is not a coffee maker for everyone. We’ve tried to cover plenty of more affordable options so nobody is left out. If, though, you’ve got deep pockets and a desire for pared-down coffee making to the highest of standards, the Impressa won’t disappoint. More renowned for upscale vacuum cleaners, Miele bring the same precision engineering and the same aggressive pricing model to coffee machine with this rock-solid countertop automating your experience wonderfully. On the surface, this machine seems an exercise in simplicity. Delve a little deeper and you’ll be surprised at the scope of functionality. You’ll need to refer to the instructions since the interface is not immediately obvious but this contributes to the minimalist aesthetic. Once you’re up and running, you’ll be negotiating the menu with ease and enjoying the huge spread of drinks on offer. You can also dial in the brewing profiles to get your coffee just the way you like it. The ability to brew a full carafe of regular coffee is a nice touch on an espresso-driven machine. We can’t fail to mention the price as it really is not cheap at all. In return, you’ll get a handsome and powerful coffee machine that’s class-leading in terms of versatility and built to stay the distance. Consider the Miele an investment rather than an expense and you’ll be quite impressed by the overall value delivered. 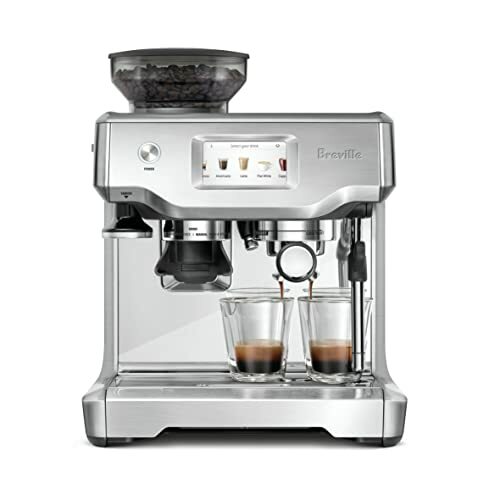 Our penultimate offering is another ruinously expensive but powerful and reliable fully automatic from Breville. The Oracle Touch simplifies every element of coffee making without robbing you of the experience. You’ll get a solid choice of coffee beyond espresso listed out below. As well as the 5 pre-programmed options, you can also punch in 8 customized beverages. Water temperature is integral to the best espresso and the PID technology on this model optimizes that to a T. Water pressure is also enhanced with an overhead pressure valve more commonly seen on commercial-grade machines. Throw in the pressure you need and a triple heat system and you’ll be wondering how you got coffee shop standard drinks without leaving home or paying the stiff bill. 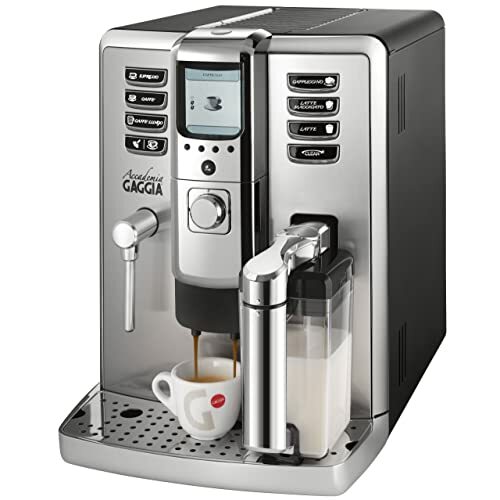 If you want many of the benefits of an industrial-grade coffee maker without the five-figure investment, the Breville Oracle Touch gives you many of the features at a cost-effective rate. This machine would easily serve a turn in a smaller commercial coffee shop as long as you don’t need extreme volume. Rounding out our quest for the best automatic espresso machine, we’ve got the exceptional Jura Giga 5. If you’re not prepared to outlay the cost of a small used car, scroll down to our buying guide. If, on the other hand, you’ve got plenty of cash on the hip and you want the best that fully automated machinery has to offer, read on. The choice of drinks is second to none and you get some truly decadent options, all listed out below. You’ll get 2 grinders along with 2 heating systems so you’ll get exceptional power without losing out on the finesse you’d expect from an upscale machine. The dual spout has no less than 4 outlets so you’ll get a potent workhorse just as much at home in a coffee shop as in your kitchen. As with all Jura machine, the design makes a real statement without being ostentatious or impacting performance. If you don’t object to paying the price, the Giga 5 stands in a league of its own and might have taken our overall crown if it wasn’t so prohibitively expensive. 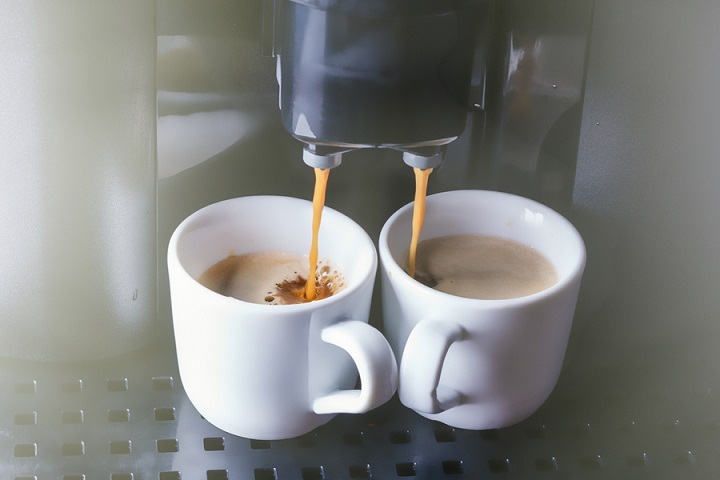 You now have no shortage of choice for an automatic coffee maker so it’s time to clear up a few of the differences between these machines next. When you’re looking for an automatic espresso machine, the first thing you’ll notice is that they are certainly not cheap. Bearing this in mind, the last thing you want is to make an unplanned blunder and end up with the wrong type of machine for your requirements. How, then, can you avoid this? If you’re looking to exercise maximum control over the shot quality, a manual or semi-automatic machine works best. If you prize ease of use, a super-automatic wins out every time. Programmability is another area where super-automatics come into their own. While they take all the grunt work out of your hands, you can often customize many elements of the brewing process to get the best of both worlds. Not all super-automatics are created equal so double down on the specifics of the model you have in mind if you enjoy fine-tuning the variables. The brew group is the nifty mechanism on the front of the machine that delivers hot and highly pressurized water into your filter basket. With semi-automatic machines, you lock the portafilter into this component. 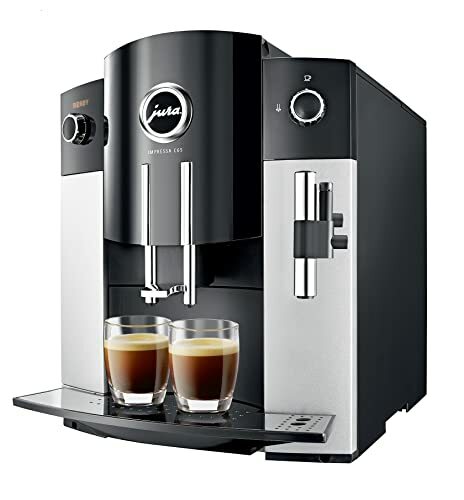 Many super-automatics feature detachable brew groups. This simplifies maintenance while cleaning is automated. Super-automatic machines often take care of milk frothing for you. This obviously gives you less control than using a manual wand but consistency is assured. If you’re looking to minimize the amount of hands-on interaction you have with your machine, regardless of type, shoot for a model boasting a large water tank. The most highly automated machine is little use if you have a large family and the reservoir is so small you’re constantly scuttling to the faucet. As with all aspects of your buying decision, focus first on your precise needs and the balance between automation and control that makes you happy. After that, assemble a shortlist of machine ticking as many boxes as possible then steam in for the kill. We’ll reiterate here that top-notch espresso machines, especially automatics, are not cheap. It’s only natural, then, to want to save money without ending up dipping out on build quality, performance or lifespan. What we’re talking about here concerns not being motivated by the bottom line to the exclusion of all other factors. Also, there are some budget machines – those from Mr Coffee, for example – that manage to effortlessly combine quality and affordability. These are few and far between, though. Far more often, if you focus simply on buying the cheapest espresso machine, you’ll end up underwhelmed by the quality and find yourself buying another machine. The inbuilt benefit of spending a little more is that the machine is likely to be better engineered and with superior build quality so it’ll end up lasting longer not just performing better. So, avoid the false economy of buying a cheap machine that is either unfit for purpose or simply falls short of the performance mark. We know that comparing drinking coffee at home and coffee at the local Starbucks is like comparing apples and oranges. We are also well aware that buying a coffee machine doesn’t mean the end of those visits for a change of scene and some tasty food. That said, if you consider simply cutting down on those trips to the coffee shop and also moderating your order when you do go, you could end up saving a substantial amount. Why not think about setting this money aside and using it to fund part of the purchase of your new coffee machine? Set yourself up a tip jar at home and tip yourself all the way to an automatic espresso machine! 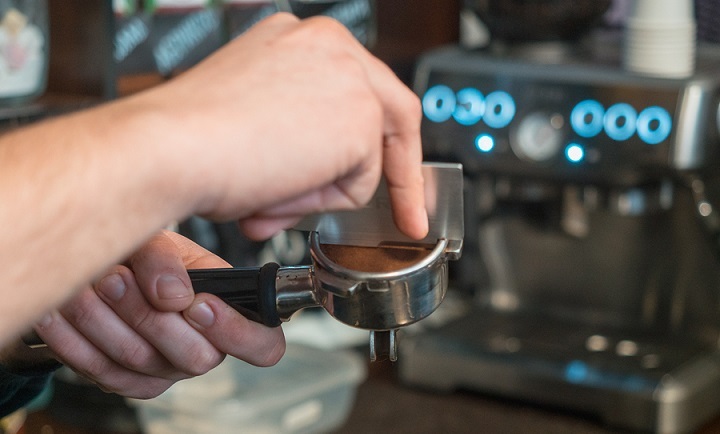 If your skills are at barista level, you might be able to save a little by investing in a manual machine but, for most of us, the convenience of an automatic model is too much to resist. Double down on the specific type that would work best for you using the advice above and you could end up avoiding an expensive mistake. Buying a refurbished machine is another option at your disposal. We’re not outright advising that you do this but it’s certainly worth at least thinking about. These models are not brand new but they certainly look and feel that way. Refurbished models are often those sent back to the manufacturer once they’ve served their purpose as a display model. Sometimes, they’re returned by a customer then fixed and restored to full working order. If you do choose one of these refurbed models, you stand to make significant savings with no discernible drop in finished quality. Well, you should be perfectly positioned now to choose the automatic coffee maker that makes the best fit for your needs. As with any purchasing decision, by taking a little time to plan what you want, you’ll maximize the chance of getting the perfect product. There’s no such thing as the perfect espresso machine but there is a perfect espresso machine for you. Personalise your decision and you’ll have an investment that could save you a fortune on daily trips to Starbucks without compromising the quality of the coffee in your cup. If there’s anything you’d like us to report on here, don’t hesitate to get in touch. Follow us on social media, too. And, of course, come back soon since our dedicated team are constantly working hard to make your life easier.